This used plastic closed upper deck block pallet is 100cm x 120cm in size, it is a medium weight version. This reconditioned plastic closed upper deck block pallet is 100cm x 120cm in size, it is a medium weight version. 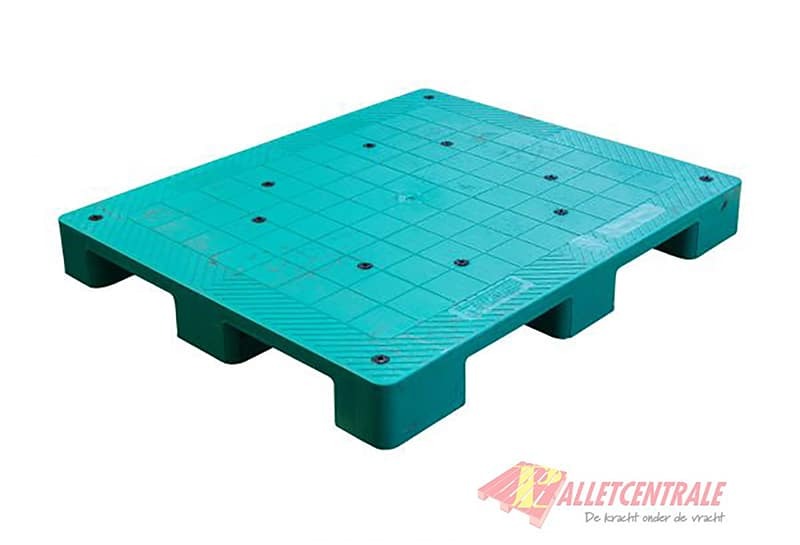 The plastic pallet, made of scratch-resistant, high-quality plastic is a real all-rounder and falls in terms of load-bearing capacity between the lightweight pallet and hygiene pallet. 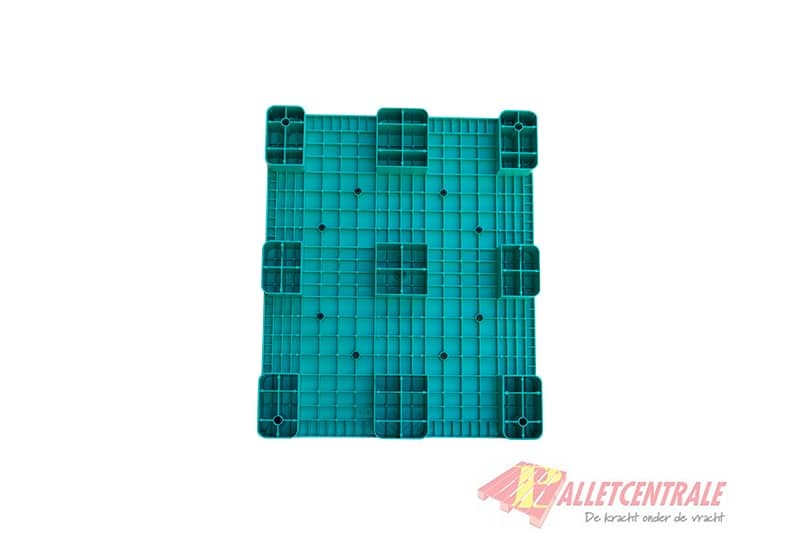 This pallet is suitable for worldwide export and, thanks to the optional steel reinforcement, can also be used optimally in high-bay warehouses.